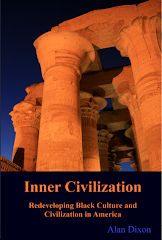 Inner Civilization: Is This God? Is God an older Italian gentleman? Does God ever shave his beard? What would he shave it with? If hair, skin, eyes etc. are composed of the chemical elements, hydrogen, carbon, H20, etc., what did God look like before he created the elements? 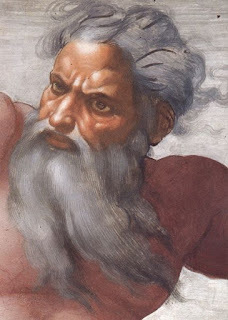 If Exodus says don’t make any images of God, why would the Church commission Michelangelo to draw this picture? 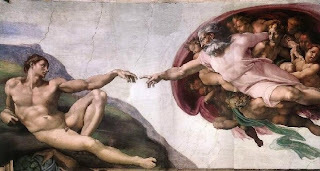 If Adam or the first man came from Eastern Africa, who is the guy “God” is touching? If Adam was made in the image of God, who is the guy floating around in the pink dress? Does Allah look like that too? If we know better than to see an Italian dude as God in modern times, why do the Discovery/A&E/ History channels still show these images when discussing God? Can God be a woman? Can God be a Man? [Num. 23:19] "God is not a man, that he should lie; neither the son of man, that he should repent..."
[1Kings 8:27] "But will God indeed dwell on the earth? behold, the heaven and heaven of heavens cannot contain thee; how much less this house that I have builded?" 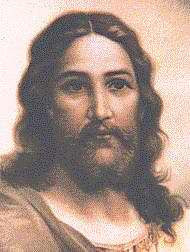 [John 4:24] "God is a Spirit: and they that worship him must worship him in spirit and in truth." Lost Found Lesson 1-40: "There is not a mystery God." "I searched for God and found only myself. I searched for myself and found only God". Labels: Adam, Africa, Allah, Elah, God, Jesus. This is great Alan. Funny. Intriguing.